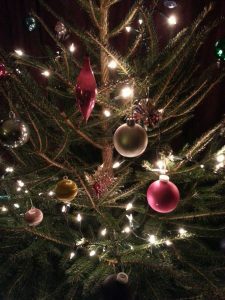 During the run up to Christmas we look for events and markets which will require high quality refreshments. Please get in touch if this is you! 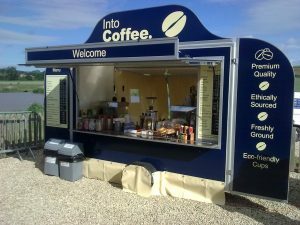 Our Artisan Coffee Cart from which we serve our usual menu along with the addition of hot mulled cider, Christmas hot chocolates, Chaider hot spiced apple juice (non-alcoholic) and homemade mince pies. 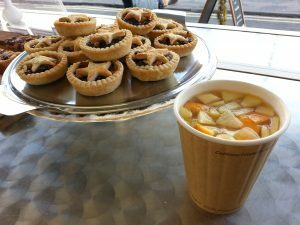 A more flexible set up with or without a gazebo from which we serve purely Christmas / festive refreshments such as hot mulled cider, Chaider hot spiced apple juice (non-alcoholic) and homemade mince pies. The dimensions of this set up is flexible depending on the event / requirements. We make an effort to ‘dress’ our cart or stall in ‘tasteful’ Christmas decorations that helps create a positive impression and encourage people to get in the Christmas / festive spirit. Attention to detail matters to us! Please get in touch to discuss how we can provide the service you require for your Christmas / festive event.